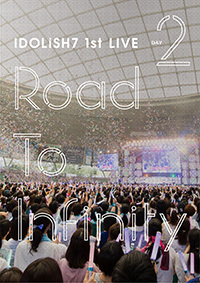 Road To Infinity is the name of first live from the IDOLiSH7 franchise, counting with performances by IDOLiSH7, TRIGGER and Re:vale. 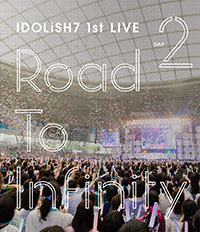 The live was held on 07/07/2018 and 08/07/2018 at MetLife Dome in Saitama. 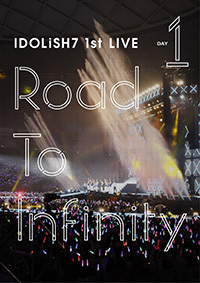 Road To Infinity is going to be released on 23/01/2019. A note that all Blu-rays are region free (playable in all Blu-ray drives regardless of location) and the DVDs are all region 2 (only playable on DVD drives in Japan, Europe, Egypt, West Asia, South Africa, Greenland, and the French Guiana). 09. Dear Butterfly / MEZZO"
A digest video, featuring previews of some of the performances included in this release, is out. 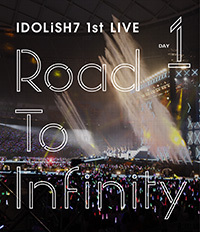 IDOLiSH7 Road To Infinity is available for purchase at CDJAPAN.